If you like big and powerful green man, named Hulk, then you will like for sure this today’s news. Recently, Mark Allan Ruffalo - the famous American actor, who played Hulk in The Avengers movie (2012), - has given an interview to DigitalSpy portal, in which he has told about the possible creation of another film with Hulk in the lead role. 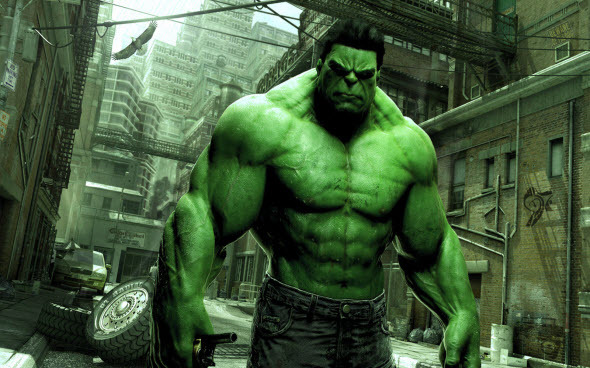 According to Ruffalo, previously, when The Avengers blockbuster was created, the representants of Marvel company - the studio, on the comic books of which the abovementioned movie were shooted, - were set against another film about a big green and angry man. And now, as Mark Allan says, they are entertaining the idea of Hulk standalone flick. Let us remind you that previously (in 2003) another big company in the cinema area - Universal Pictures - filmed the blockbuster with Hulk in the lead role. That movie was very successful and brought more than $245 million to its creators. So far, there is no exact information, whether new Hulk film will be shooted or not, but we promise to reveal it as soon as it is announced. As for us, we think that the idea of creation the new movie about incredible Hulk is very interesting, and we would like to know, what Marvel company can offer us as a standalone and unique picture about this green man, especially if he is played by Mark Ruffalo. And what’s about you? Would you like to watch new Hulk film? We are always glad to see your answers at the bottom of the page.